Situated near the airport, this guesthouse is within 16 mi (25 km) of Abbazia di San Galgano, Siena Cathedral, and Piazza del Campo. Fonte Gaia and Fortezza Medicea are also within 16 mi (25 km). 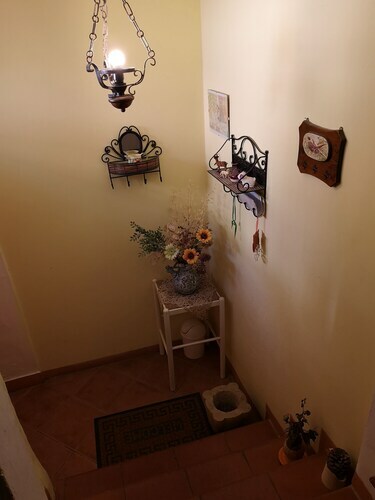 Situated in Sovicille, this townhouse accommodation is 0.1 mi (0.1 km) from Val di Merse and within 9 mi (15 km) of Siena Cathedral and Piazza del Campo. San Leonardo al Lago and Fontebranda are also within 9 mi (15 km). Situated in Sovicille, this golf vacation home is 0.1 mi (0.1 km) from Val di Merse and within 6 mi (10 km) of San Leonardo al Lago and Fontebranda. Siena Cathedral and Piazza del Campo are also within 9 mi (15 km). How Much is a Hotel Room in Sovicille? Hotels in Sovicille start at $70 per night. Prices and availability subject to change. Additional terms may apply. If you're not sure how to begin planning your Siena getaway, relax, because you'll find a terrific selection of first-rate accommodation varieties in Sovicille. Right now, Travelocity's extensive and up-to-date database lists 30 lodgings within a 6-mile (10-kilometer) distance of the heart of Sovicille. The Residence Arianna is a much-loved Travelocity-listed lodging option because of the fact that it's located such a convenient distance from the middle of Sovicille. More economical accommodations in the Sovicille region include San Lorenzo a Linari, Borgo Il Poggiaccio and Casale il Colombaio di Toiano. The Castello Banfi - Il Borgo is about 20 miles (33 kilometers) outside the center of Sovicille. Another place to stay is the Relais Borgo Santo Pietro, which is approximately 9 miles (14 kilometers) away. The Rosewood Castiglion del Bosco and the Castello Di Casole are two more Travelocity-listed places to stay in Sovicille. Making plans to explore a little out of the center? Tuscany offers many beautiful attractions. Photographers will love Tuscany's rural landscapes, beaches and coastal plains. In addition you could venture to its ruins. Wise travelers in this region of Italy can enjoy snowboarding, skiing and snow shoeing. 12 miles (20 kilometers) to the northwest of Sovicille, you can reach Val d'Elsa, where you can spend the day enjoying Archeological and Collegiate Church Museum and Torre Rognosa. The Tenuta Di Mensanello and Torraccia di Chiusi are just some of the Travelocity-recommended accommodation choices in Val d'Elsa. 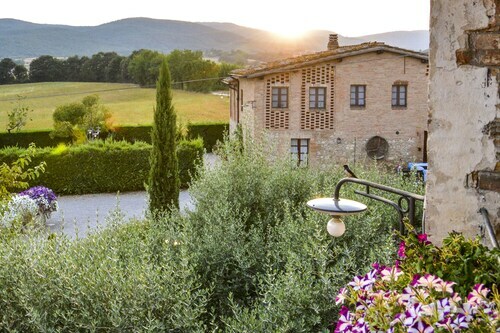 Alternatively, you could consider staying at Val d'Orcia, 25 miles (40 kilometers) southeast of Sovicille, where you'll find the Adler Thermae Spa & Wellness Resort and Hotel Osteria Dell Orcia. Regardless of whether you're passing through or spending a few nights in Val d'Orcia, be sure to visit the Collegiate Church of San Quirico and Palazzo Chigi. While you are here why not spend some time enjoying the spectacle in the company of local supporters at an engaging match. You can find Stadio Artemio Franchi 35 miles (60 kilometers) to the north of Sovicille. Book a hotel nearby to the action at the Four Seasons Hotel Firenze or the The St. Regis Florence. Located 40 miles (62 kilometers) from Sovicille's center is Peretola Airport. Base yourself nearby at Torre di Bellosguardo or Sina Villa Medici. 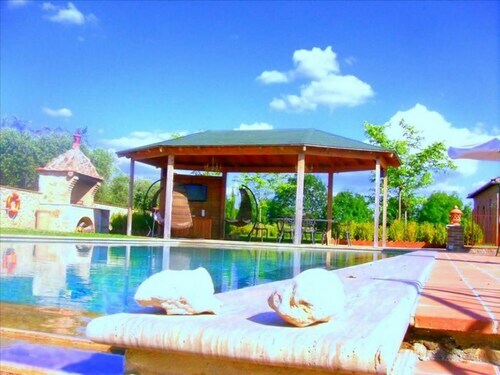 L'ovile 8 Sleeps, Villa With Private Pool at Exclusive Use!